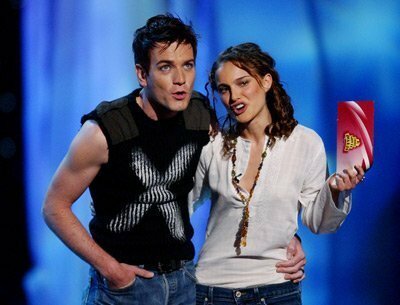 Ewan McGregor & Natalie Portman 2. Ewan presenting with Natalie Portman. Wallpaper and background images in the Ewan McGregor club tagged: ewan mcgregor natalie portman star wars film actor. This Ewan McGregor photo might contain konzert.